In a second incident, the men said they were from an electricity company and tried to distract an elderly couple while they searched their home. 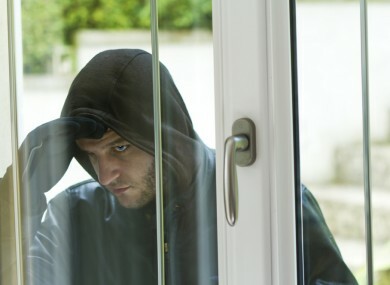 MEN CONNECTED TO two distraction burglaries in Northern Ireland yesterday afternoon had southern Irish accents and pretended to be working for utility companies. Today the Police Service of Northern Ireland issued a warning and appealed for information about other linked incidents in the area. In Bangor, three men called at a house at 12.15pm claiming to be from a water company. They were allowed into the house and while one of them distracted the occupants, the two others searched rooms in the house. Police said it is unclear at this time if anything was taken. Just over an hour later, police received a second report of three males, again with southern Irish accents, calling to the home of an elderly couple in Lisburn. Again, they were distracted by one of the men, purporting to be from an electricity company this time, while the others entered the property. They made off empty-handed when challenged. Detective Constable Sonya Hawthorne said today this incidents are believed to be linked and appealed for anyone in either of these areas yesterday or who saw the three men to contact police on the non-emergency number 101 or alternatively contact Crimestoppers anonymously on 0800 555111. Email “NI burglars with southern Irish accents claim to work for water company ”. Feedback on “NI burglars with southern Irish accents claim to work for water company ”.